Successful on the ITTF World Junior Circuit in 2011; starting play in the qualification tournament, China’s Zheng Peifeng emerged the surprise men’s singles winner some six months ago at the Seamaster 2018 Czech Open. Now at the Seamaster 2019 ITTF Challenge Plus Portugal Open, which commences in Lisbon with qualification on Wednesday 13th February, are their compatriots who can follow his example? There is no shortage of candidates. Significantly, Xu Haidong, like Zheng Peifeng a pen-holder, appears on the entry list, the player who last year won the junior boys’ singles title at the Hong Kong Junior and Cadet Open before, as the year came to a conclusion, being crowned world junior champion in Bendigo. However, the young man to catch my eye is 15 year old Xiang Peng, presently listed in top spot on the under 18 boys’ world ranking; beaten by Japan’s Yukiya Uda at the semi-final stage in Bendigo, otherwise it was success upon success. On last year’s ITTF World Junior Circuit he won cadet boys’ singles titles in Oman, France, Thailand and Poland; moreover, in addition in Poland he secured the junior boys’ singles title, a feat he also achieved in Hong Kong. Furthermore, you can add one more major success to his collection; in August he clinched the junior boys’ singles title at the Asian Junior and Cadet Championships in Myanmar. Also, successful in Myanmar and on the Lisbon entry list, also only 15 years old, Zeng Beixun emerged the cadet boys’ singles champion; notably later in the year he struck gold at the ITTF Cadet Challenge in Tottori before in Serbia claiming the junior boys’ singles title. Chinese names to note and you can add to the list a host of others. Xu Yingbin, 17 years old, beaten by Xiang Peng in the Polish final and just one place behind his colleague on the current under 18 boys’ world rankings also appears on Portugal entry list, as does Niu Guankai, who likewise suffered in 2018 at the hands of Xiang Peng, he finished in runners up spot at the Asian Junior and Cadet Championships. 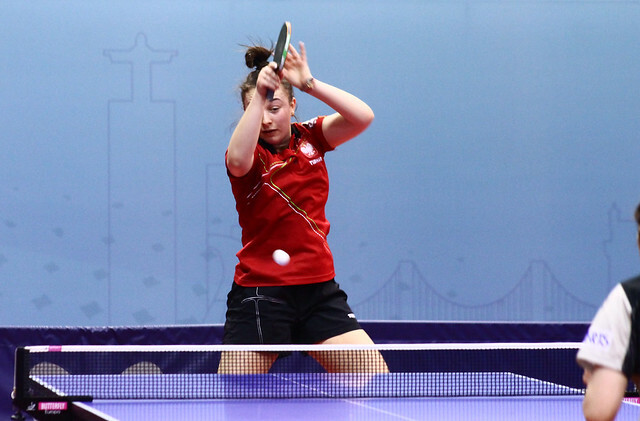 In a similar vein, successful on the 2018 ITTF World Junior Circuit, Liu Yebo, gold medallist in Hungary, competes in Lisbon; Yu Heyi, the winner in the Czech Republic and France will also be in action, a situation that applies to Quan Kaiyuan, a semi-finalist in Oman. Meanwhile, not to be overlooked and likewise required to qualify, Cao Wei, 19 years old, is the one member of the group, with arguably the best chance of upsetting the order. He has an ITTF Challenge Series men’s singles title to his name; last year he won in Pyongyang. Negotiate the opening hurdle, gain confidence and who knows what may happen; consider Zheng Peifeng last year in the Czech Republic, his closest contest was his very first; he needed the full seven games to beat the Czech Republic’s Ondrej Bajger.